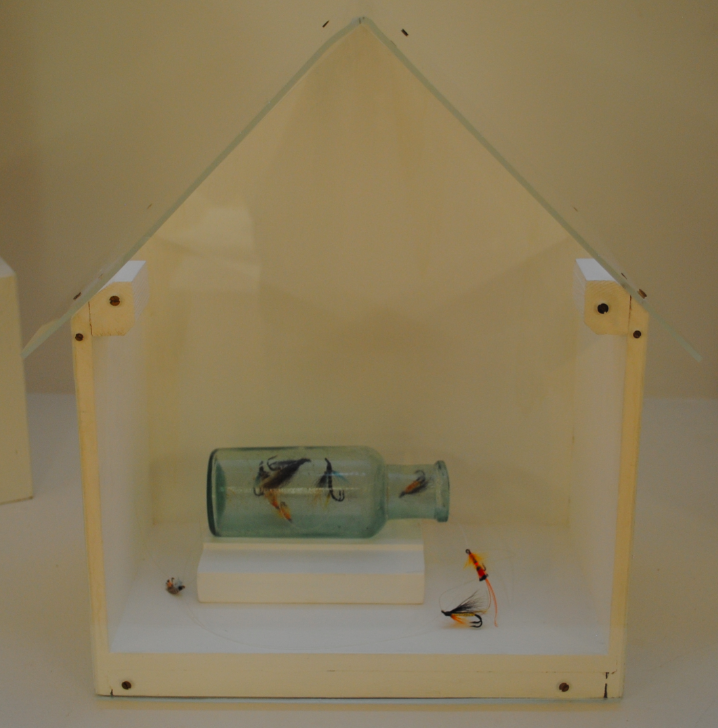 On display as part of the In Place exhibition at Farfield Mill was the above work entitled “Flies in a bottle”. The wood, perspex and ‘found’ objects box is the work of the textile artist, embroiderer and bookmaker Mary Sleigh. Having collected numerous items of no intrinsic value, Mary has created artistic works that capture the memory of the moment. The In Place exhibition was concerned with creating personal connections with materials and objects while developing a sense of place.